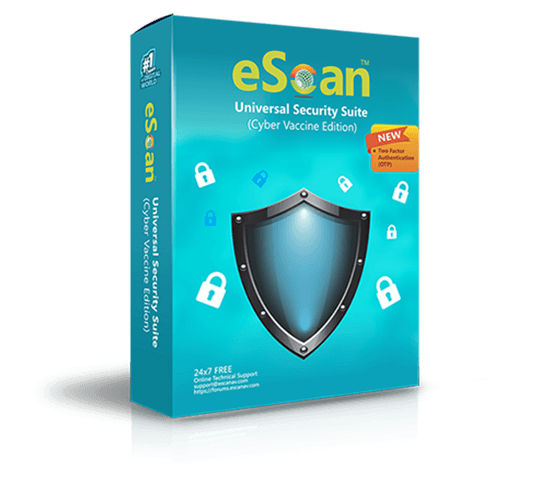 Best in its class, easy-to-use, eScan Universal Security Suite for Home and Small Office Edition is a specially designed security solution that provides real-time protection to devices and computers with Windows, Macintosh, Linux and Android operating systems from objectionable content and evolving cyber threats through a single license key. It gives you complete freedom to conveniently enjoy the internet to its full potential on a range of digital devices. 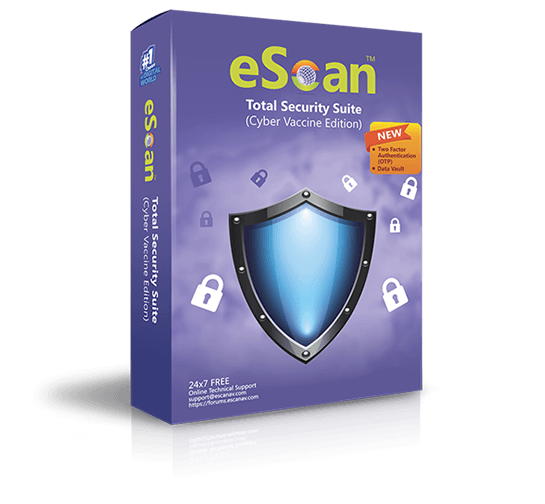 eScan Total Security Suite with Cloud Security for Home and Small Office Edition is a specially designed security solution that provides real-time protection to computers from objectionable content and cyber threats such as Viruses, Spyware, Adware, Keyloggers, Rootkits, Botnets, Hackers, Spam and Phishing. With its advanced and futuristic technologies such as MicroWorld Winsock Layer Technology, Domain and IP Reputation Checker Technology, Non Intrusive Learning Pattern Technology, eScan Security Network, Advanced Virus Control and sophisticated heuristics algorithms, eScan protects your personal information and ensures safe computing environment to your family when browsing the internet, shopping online, performing online transactions or social networking. 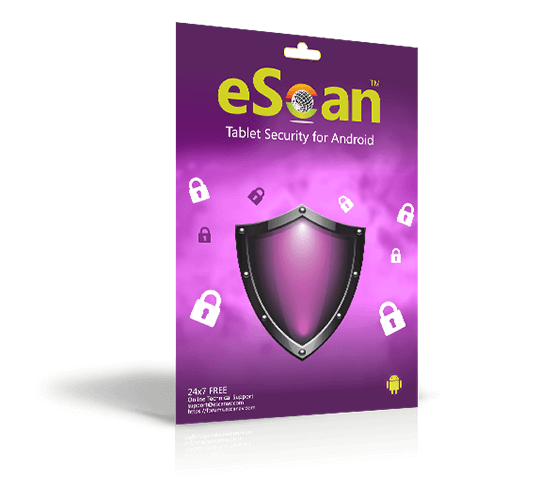 eScan Internet Security solution designed for home and small office users is a comprehensive Antivirus and Content Security Solution that provides complete protection to your computers against objectionable content and security threats that creep around the internet such as Viruses, Spyware, Adware, Keyloggers, Rootkits, Botnets, Hackers, Spam, Phishing Web sites and range of information security threats. SMBs rely on technology and networks as much as any enterprise. Though larger businesses are well equipped with substantial resources to defend against network security threats, SMBs generally cannot afford dedicated resources to handle the security of their network. 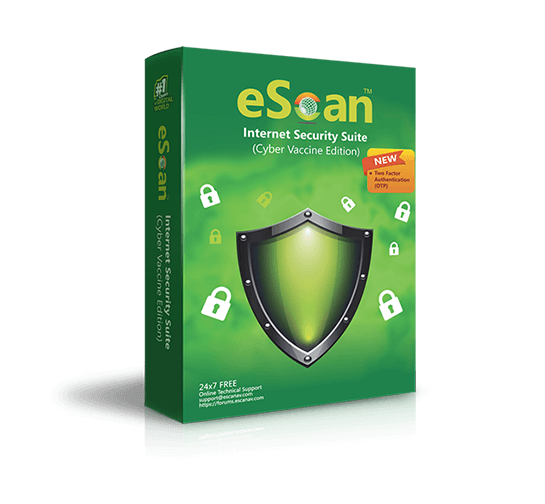 eScan Internet Security Suite for Small and Medium Businesses (SMBs) with Cloud Security is a specially designed comprehensive internet security solution to fulfill the needs of SMBs and facilitate in-depth defense against evolving threats with a very low cost of ownership. The centralized web-based administration console of eScan Internet Security for Windows® helps the network administrator set policies on client computers to prevent malware infections as well as increases productivity through web access control and application control, thus help implement high levels of IT security to ensure business continuity just as enterprises. IT security is common concern faced by all businesses. Looking at the current situation of the cyber security landscape, evolving threats to network security and the innumerable challenges faced by Small and Medium Businesses (SMBs) are significantly similar to large enterprises. 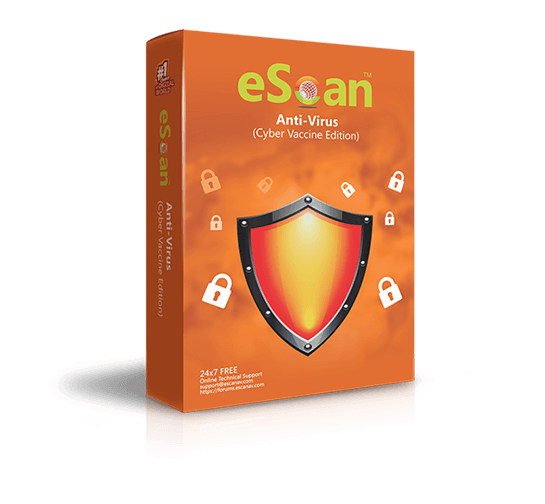 eScan Anti-Virus for Small and Medium Businesses (SMBs) with Cloud Security is a specially designed comprehensive security solution for Windows® platform to fulfill the needs of SMBs. It ensures in-depth defense against evolving cyber threats with a very low cost of ownership. It is a powerful and futuristic Anti-Spam and Content Security Solution that offers advanced Spam and Phishing Control, Web Access Management, Attachment Control, Content Security and much more. It is said that there is no direct threat to GNU/Linux servers as such, however since GNU / Linux is becoming popular on Servers, Proxies and Gateways, it is also increasingly targeted by cyber criminals. Hence, there is a need for a security solution that secures GNU/Linux Platform. Webscan for Linux Proxy Servers is an intelligent Anti-Virus and Content Security solution that ensures protection to the internal clients / networks served by Linux-based Proxy Servers against evolving cyber threats and stop the threat at the gateway level. It is an extremely powerful web-based application that is easy to configure. To buy or try the products, please write to sales@escanav.com. eScan Corporate 360 is a comprehensive Anti-Virus and Information Security Solution that allows you to manage risk and protect your critical infrastructure efficiently. It also includes Mobile Device Management module which is specifically designed with an aim to facilitate administrator to remotely monitor, secure, and manage all Android-based devices in the network. Moreover, the new eScan Management Console (EMC) module facilitates dynamic security management of the server, endpoints, and Mobile devices in the corporate network. eScan Enterprise 360 is a comprehensive Anti-Virus and Information Security Solution that allows you to manage risk and protect your critical infrastructure efficiently. 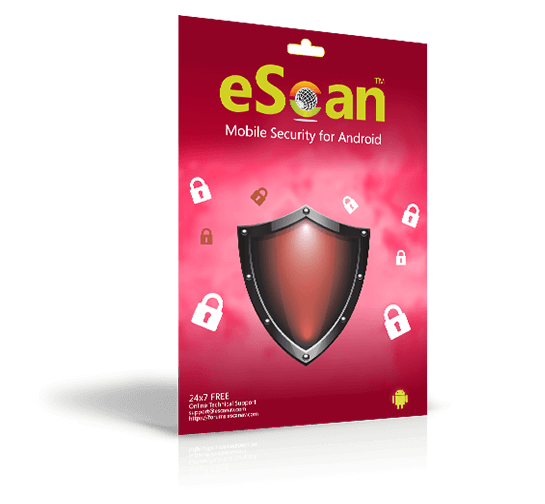 It also includes Mobile Device Management module which is specifically designed with an aim to facilitate administrator to remotely monitor, secure, and manage all Android-based devices in the network. Moreover, the new eScan Management Console (EMC) module facilitates dynamic security management of the server, endpoints, and Mobile devices in the corporate network. 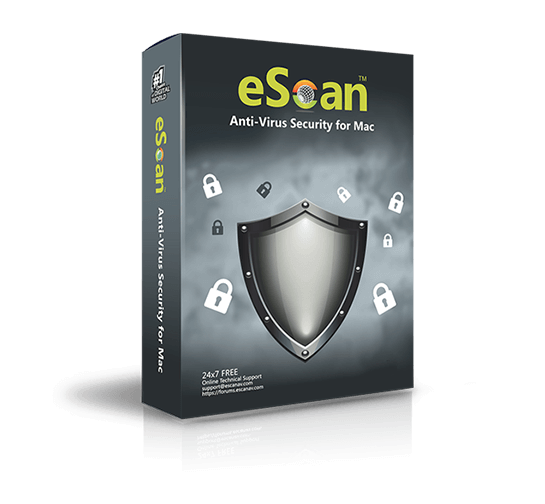 eScan Corporate Edition for Citrix Servers is a comprehensive AntiVirus, AntiSpam and Content Security solution that provides Zero Day Protection from Viruses, Spyware, Adware, Keyloggers, Rootkits, Botnets, Hacking, Spam, Phishing and Offensive Content. eScan ensures complete protection for computer systems and networks with its indigenous powerful technologies such as MicroWorld Winsock Layer (MWL) Technology, Non Intrusive Learning Pattern (NILP) Technology and sophisticated AntiVirus Heuristic Algorithms.